Sara Latham, a former senior advisor on Hillary Clinton's 2016 US presidential campaign, has returned to Freuds as managing partner amid 'radical' structural and other changes at the London-based agency. A ‘radical’ simplification of the structure, with the number of levels in the business almost halved and a "matrix hub" structure introduced, that "puts creative, digital and strategy back right at the heart of the business". This has been coupled with investment in technology "that acts as a business enabler behind the scenes"
A net promoter score to measure client satisfaction. The Future Freuds programme, launched in 2016 following the appointment of Arlo Brady as CEO, has seen changes at the office including moves to integration and open plan working. A partnership model was introduced at the senior leadership team. Last autumn Brady announced changes to its structure, including the creation of a group encompassing it and various sister agencies, adding further partners, and removing the "irrelevant" distinction between corporate and consumer within the firm. Latham worked in the White House under Bill Clinton in the late 1990s before moving to the UK as government affairs advisor at Microsoft Europe. She was MD at Philip Gould Associates before joining Freuds. Latham also spent two years as special advisor to the late Tessa Jowell when she was culture secretary. 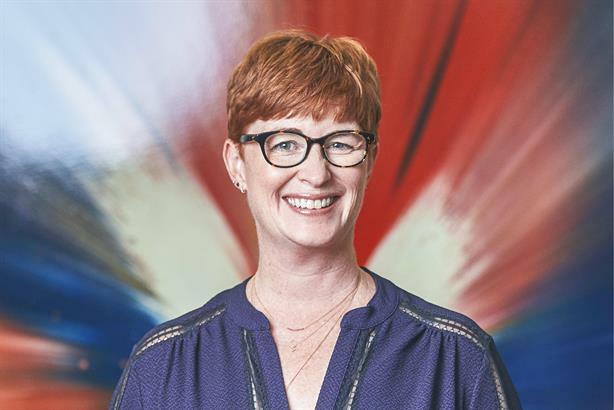 In her new role, Latham will also be a senior advisor to some of the agency's biggest clients, including Bank of America, The Rise Fund and Danone. Brady said: "Sara brings unrivalled experience as an advisor at the very highest levels. Her judgement and counsel is of huge value to our roster of clients. Additionally, she has the expertise to drive the changes we are making as an agency in the next phase of our Future Freuds transformation plan. We pride ourselves on providing exceptional experience and connectivity for our clients and our teams. Key hires of extraordinary talent like Sara are integral to us delivering on that promise." Her appointment follows a series of changes among the senior team. In June, PRWeek reported that Freuds consumer MD Caroline Wray is leaving the agency after 14 years, with her deputy Jo Grierson also set to depart. Creative director Haran Ramachandran was another departure this year, moving to Three. Freuds has announced several hires in recent months, including broadcaster Matt Barbet as a director; former Daily Mirror royal correspondent Victoria Murphy as an associate; Ogilvy PR managing partner Mark Schmid as a director; VCCP activation director planner Laura di Simone as digital channel planner; and Arif Haq, formerly of Contagious and Pepsi, as a partner. UK revenue at the agency grew 9.6 per cent in 2017, reaching £41m, according to PRWeek’s UK Top 150 Consultancies table. Freuds employs around 250 people.